I gave presentations at the annual meetings of the International Association of Music Libraries and Documentation Centres in New York, and at the ADHO’s Global Digital Humanities conference in Sydney. What follows in an amalgamation of these two presentations. What I want to propose is a form of “counter cultural” cataloguing. By this I mean a way of approaching the work of metadata description in libraries and archives as a means of working against the mainstream. 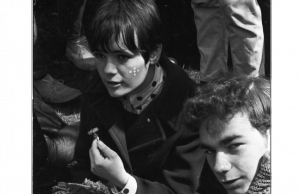 Many of you may be familiar with the countercultural movement of the 1960s. It manifested itself in many different countries, sometimes in different ways, but the overarching movement can be characterized as an uprising of youth answering a call to “tune in” “drop out” and push back those seen in control and to resist the mainstream. In Canada the movement made itself felt most strongly in the big cities: Vancouver, Toronto and Montreal. 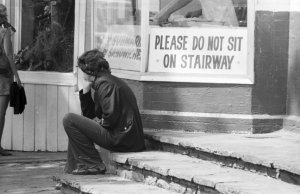 In Toronto early activity related to the counter-cultural movement centred on the neighbourhood of Yorkville. causing a rise of both moral panics, and tourist traffic [slide] as suburbanites came out to drive the strip and view the goings on. 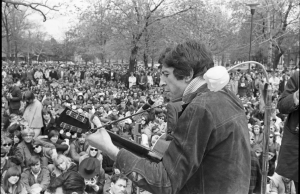 There were protests, sit-ins, happenings and in “the summer of love” 1967 a love-in at Queen’s Park in Toronto, a large public park adjacent to the provincial legislature, It drew huge crowds and performances by Leonard Cohen, Buffy Saint Marie and others. This entry was posted in Uncategorized on August 12, 2015 by sacassin.